Picnic In the Park was so much fun and the first thing I did as the new Intern at Boise State. We fed roughly 200 students (mostly Freshman) the best pizza in town, played games, and hung out. 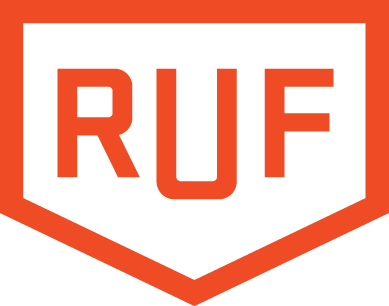 A few of the students who regularly attend our Tuesday night meetings and Small Group Bible Studies found out about RUF here. Brian (on the left) gave a great series of talks on the book of Mark and the Gospel every Tuesday night. This is our weekly group meeting, where we worship, Brian speaks, and we hangout and eat homemade baked goods. Labor Day hangout at the local swimming hole. Played games on the beach, kayaked and paddle boarded, Hammocked and more. This was a great way for people to get to know one another and start building relationships outside of our Tuesday night meetings. Our First Major event of the year and one of the best ways to get to know each other. We rented a cabin in the mountains, hung out, heard from a great speaker John Stone, and had an all around good time. Rake up Boise was a great way for us to get out as a Christian ministry and serve our greater community outside of campus. We raked the yards of 4 of our fellow Boisians and had a great time doing it! Lessons and Carols, game nights, and more! We had the opportunity to take 17+ students on our leadership retreat where we talked about what Grace really means and what it looks like in the lives of Christians. It was an amazing weekend full of worships, friendship, and fellowship. Oh! And did I mention, we stayed in a house ON THE SLOPES of Tamarack Ski Resort?! It was a blast and there was great conversations about Gods grace and the Church. We had fantastic worship and lessons on Revelation this semester. The sermons give by Brian were amazing and truly shed light on the book that so many people find confusing. I think many of the students really learned to appreciate the Church and the book when they used to be confused. A great time to end the semester and start the summer (before summer jobs start and everyone moves home) We had a great series of talks (hosted by Will Spokes former campus minister at DUKE) on the Church and our participation there in. But really the pictures say the rest.